A former novice of the Institute of the incarnate Word, (IVE – Instituto del Verbo Encarnado) wrote a letter summarizing his concern about this particular religious institution. There are several blogs and facebook pages that describe the dubious and abusive practices of the hierarchy, superiors of the Institute of the Incarnate Word. The IVE history is an interesting saga with a mix of everything: an abusive founder Carlos Miguel Buela which was requested by Pope Benedict XVI to step down as IVE General Superior; a religious organization that has been intervened a couple of times by the Vatican sending Pontifical Commissaries and resulted in closing down in Argentina; political manipulation using the divided Cardinals and Bishops differences, using Vatican insiders, which resulted in approval of the Institute as diocesan religious Institute in Segni, Italy; a high number of ordinations and a high number of defections of priest and religious females and males; several members have written describing the manipulation and abuse of power within the IVE particularly from the Institute superiors… It took 40 years to former Legionaries to be heard about the abuse within the Legion of Christ… How long is going to take to finally intervene and change the structure of abuse in the IVE. Here is a letter from an american novice and his experience in Segni, Italy. We received the below email with permission to publish and it is so thorough we are publishing it below unedited and in its entirety. Our impression from this mail is one of familiarity. The IVE has the same problems worldwide. These aren’t isolated experiences. • There is no clear distinction between the interior and exterior forum – superiors will frequently act as spiritual directors and confessors to postulants, novices and less regularly seminarians. This is in breach of what the Church lays out for priestly formation. • The first thing to be sacrificed in the daily routine was Eucharistic adoration – on days where things were busy, or we were travelling somewhere, or something unexpected cropped up, the first thing to be cancelled was adoration. I’ve lost count of the amount of times adoration was cancelled or shortened ven though the constitutions and spirituality state we must have at least an hour of adoration daily. Interestingly, I cannot recall work ever being cancelled, although I can remember many instances of it being extended. • When we travelled to St. Peter’s for papal Masses we never queued along with the other members of the public, seminarians and priests queuing. We were always told by our superiors to slip into the queue close to the front. This often led to friction with people who had been queuing for several hours. I was always very embarrassed by this. The Next Pope Will Be God’s Choice . . . Right? It’s common for Catholics to say that a newly elected pope is “God’s choice” or that, the Holy Spirit chooses the new pope. There’s a sense in which this is true. But does that mean that we can just sit back and assume the ideal candidate will be elected? If so, why do we need to pray for the election of the new pope? And what has Pope Benedict XVI had to say about the matter? Since God is omnipotent, he could stop any particular thing in the universe from happening. Therefore, if something does happen, it is only because God allowed it to happen. If God chose to allow it, anything that does happen could–in this broadest sense–be described as God’s choice. But that does not mean it is what God prefers. Take the fall of man and our redemption by Christ. In one sense, that’s clearly God’s choice. But we cannot ascribe Adam’s sin to God as his ideal choice. How man’s free will relates to God’s providence is complex, and we should be careful of simplistic solutions. We can be confident of the general principle that God guides his Church. This is something we have biblical assurance of. But his guidance does not prevent human free will from operating, and that means there is the potential for humans to abuse their free will. That applies to the college of cardinals, too, even when they are electing a pope. They do not lose their free will. We have been very fortunate in recent times to have a series of very holy, wise popes, but this has not always been the case. If you look at history, certain popes have been real scoundrels, like Pope Benedict IX (first elected in 1032). 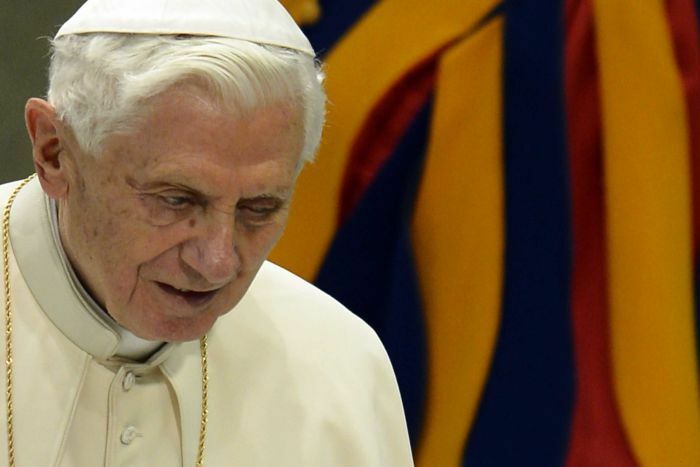 What Has Pope Benedict XVI Said? THE Arab Spring has shaken a whole series of autocratic regimes. With the resignation of Pope Benedict XVI, might not something like that be possible in the Roman Catholic Church as well — a Vatican Spring? Of course, the system of the Catholic Church doesn’t resemble Tunisia or Egypt so much as an absolute monarchy like Saudi Arabia. In both places there are no genuine reforms, just minor concessions. In both, tradition is invoked to oppose reform. In Saudi Arabia tradition goes back only two centuries; in the case of the papacy, 20 centuries. Yet is that tradition true? In fact, the church got along for a millennium without a monarchist-absolutist papacy of the kind we’re familiar with today. It was not until the 11th century that a “revolution from above,” the “Gregorian Reform” started by Pope Gregory VII, left us with the three enduring features of the Roman system: a centralist-absolutist papacy, compulsory clericalism and the obligation of celibacy for priests and other secular clergy. The efforts of the reform councils in the 15th century, the reformers in the 16th century, the Enlightenment and the French Revolution in the 17th and 18th centuries and the liberalism of the 19th century met with only partial success. 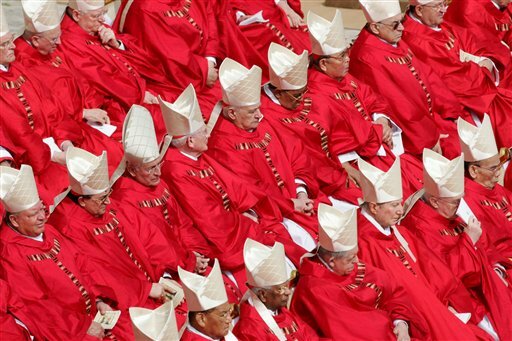 Even the Second Vatican Council, from 1962 to 1965, while addressing many concerns of the reformers and modern critics, was thwarted by the power of the Curia, the church’s governing body, and managed to implement only some of the demanded changes.